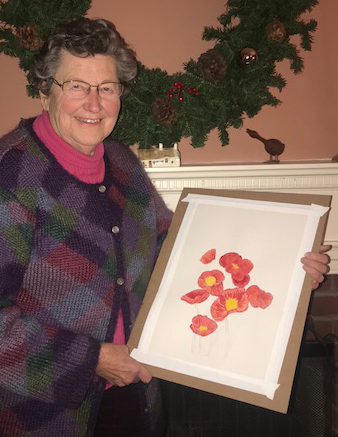 Getting Stitched on the Farm: 83 and Still Learning Something New + You Can Too! 83 and Still Learning Something New + You Can Too! A few weeks ago, Julia and I were visiting Mom in New Jersey. We went on a little adventure which I wrote about here. When we were visiting The Kubert School, we discovered that they also teach "regular" folks -- not only enrolled students. I encouraged Mom to sign up for a watercolor class. My Mom hasn't picked up a paintbrush too many times - mostly for painting something in the house. She certainly doesn't consider herself an artist. I know she has an undiscovered talent. As my sister Laurie says "where did it all come from?" At age 83 - it is going to be fun to watch Mom discover her talent. Her first class was last week and she had a great time. I can't wait to see what she paints tomorrow. Hopefully Mom will be able to send me a photo to share with all of you. 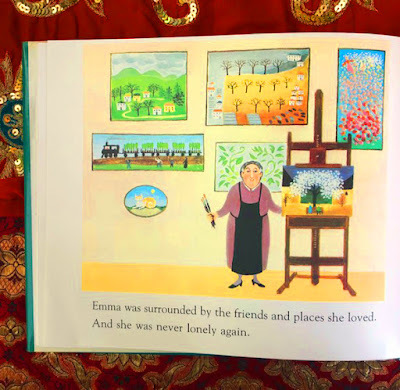 There is a fantastic children's book called Emma. 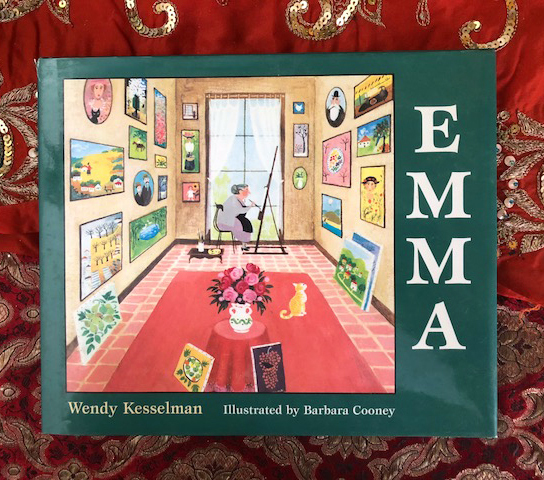 It is written by Wendy Kesselman and illustrated by Barbara Cooney (one of my favorite children's book illustrators). It is out of print now but you can pick it up used here). 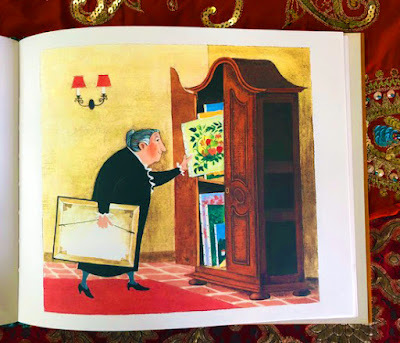 I used to read this book to Julia over and over when she was small. 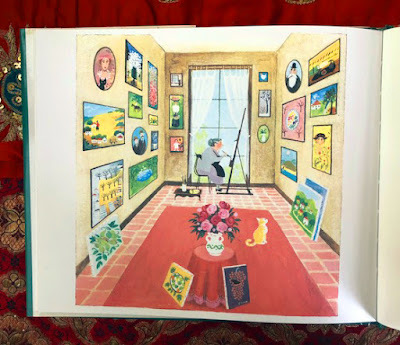 I loved the possibilities it offered both children and adults. 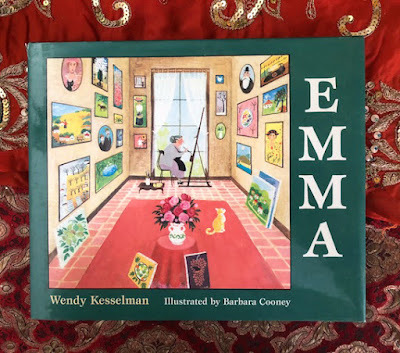 The story is about a 72 year old woman named Emma who teaches herself to paint. She doesn't tell anyone about it but she becomes obsessed with painting. "Emma was surrounded by the friends and places she loved. And she was never lonely again." I know that not everyone can find art classes in their area and that is where sites like Skillshare, Creativebug, and Craftsy come in. There is so much out there to learn. For the small investment in a monthly membership, you can spend hours learning and exploring something new - all in the quiet of your home. Of course, watching the techniques will not make you a success. You will actually have to practice and do it versus just thinking about it. 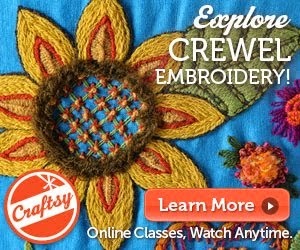 I feel fortunate that I have been able to teach on both Creativebug and Craftsy and on PBS's Knit and Crochet Now. I have no clue how many people I have helped to learn something new. And I love that I too can take classes here at my home and learn something new from someone who comes from another part of the world. I hope you all are having a good weekend. Let me know what you are learning this winter if you have a chance. Thank you, Kristen, for the last two posts. My mother was a late in life painter as well. I never knew she had the talent or interest growing up...too much to do with 4 little kids, a husband and a home. I also enjoyed seeing the 2 little lambs being born. I am off to a good start to my morning now. You're right Kristin, so many opportunities to learn just so long as we are open to them. 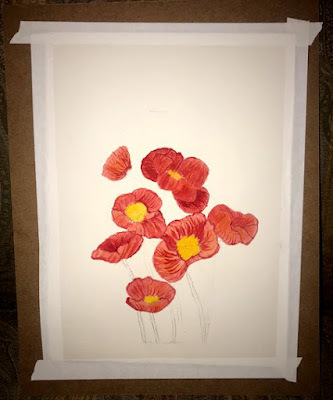 I picked up some Paintables by Adorn It this winter and have been dabbling with water colors. They're printed on lovely heavy paper and they are small and inexspensive much like a coloring book really. I leave them in a basket on my kitchen table and as I wait for pasta to cook or preschool pick up, I paint. Only watched classes on Craftsy and no real idea what I'm doing but its a small creative "me" moment in the day. I remember growing up my mom watching PBS and learning to sew and quilt, all skills she passed on to me as well. 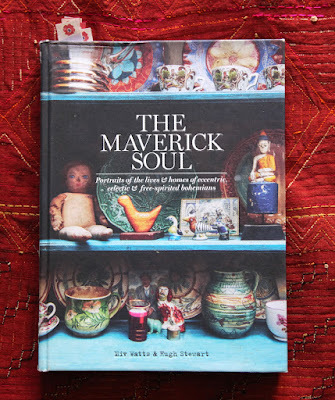 In these long cold winter months it's the perfect time to cozy up and do something creative. Thank you, Kristin! I feel cheered and inspired. And I can't wait to see what your mom does next! Your mom's painting is lovely. Hurrah to your mom! I really enjoyed this post. It's never too late to try something new. There are so many possibilities in the world, I don't know how people ever get bored!